Happy Holidays from Northern Expressions! The weather is getting cooler, and many of us are thinking about the end of the year, as well as the list of things to do before then! All three locations of Northern Expressions (Toronto, Ottawa, and Jordan Village) are ready to help you find something for every person and budget on your holiday gift list. Visit us in person or online to see what’s in store. Bears, bears, and more bears at Northern Expressions in Jordan Village! Polar Bears are on Parade! The Jordan Village Staff are in love with their white marble Polar Bear Parade! 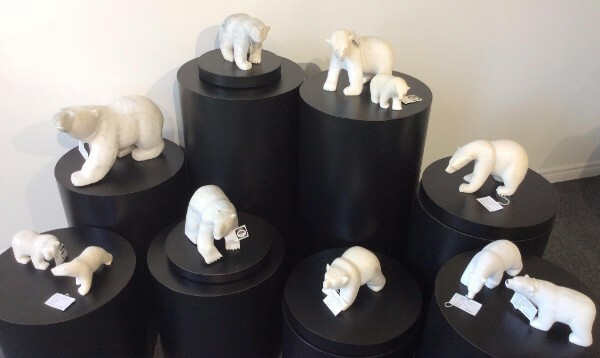 These stunning bears were all hand crafted from beautiful white marble in Nunavut, and each one has their own character and personality. How wonderful would it be to open one of these stunning bears on Christmas morning! Find these bears and more here! With its exaggerated gesture, grotesque mask-like face and inset pegged teeth, Shaman Fishing demonstrates the distinct features of the Gjoa Haven sculptural tradition. The squat form conveys a feeling of playful ferocity. Gouged directional lines along the figure’s coat reveal a lighter-toned rough stone surface, and this adds a sense of vigorous energy to the body. 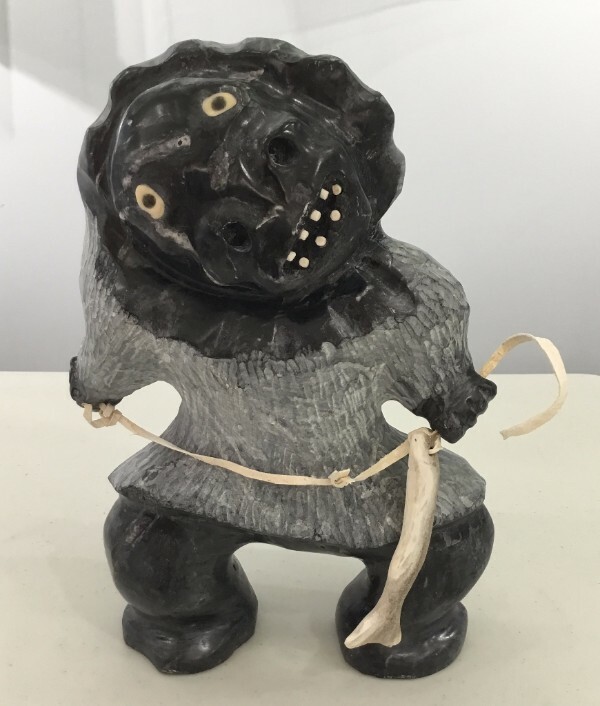 The creator of this work is Uriash Puqiqnak (1946- ), a well-known stone carver in Gjoa Haven, Nunavut, who was among the early group of artists who contributed to the distinct Gjoa Haven style. His son Wayne carries on the carving tradition, also making beautiful stone sculptures. In addition to being an artist, Uriash is a renowned political figure. He was mayor of Gjoa Haven and, in 1999, became one of the first elected Members of the Legislative Assembly of the newly formed territory of Nunavut. He was instrumental in the development of programs to promote Inuit art and protect the industry from counterfeits. Uriash was initiated as a Member of the Order of Canada in 2005 in recognition of service to his community. More from the collection here! If you're around Parry Sound from December 7th to 9th, the Gchi Dewin Indigenous Storytellers Festival with be taking place! Presented by ReZ’91 Radio and MUSKRAT Magazine, and building on over three decades of combined diverse successful arts programming presentation, the Gchi Dewin Collective has come together to present the annual Gchi Dewin Indigenous Storytelling Festival with the goal to generate awareness and build audiences for the rich Indigenous storytelling traditions. Gchi Dewin means “Big Heart” in the Anishinabe language, and storytellers are individuals with ‘big hearts’ because they listen, hold, and share traditional knowledge with the community. Indigenous art and culture in Ontario- and indeed the world- is founded in its oral storytelling traditions. The Collective recognizes that Indigenous identity is rooted in the land and that their stories convey their entire local histories and worldview. The Festival explores innovative ways of interpreting oral literature, history, language significance and Indigenous culture through storytelling presentation in traditional, on-line, and broadcast formats which contributes to building cultural awareness on local, national, and international levels. 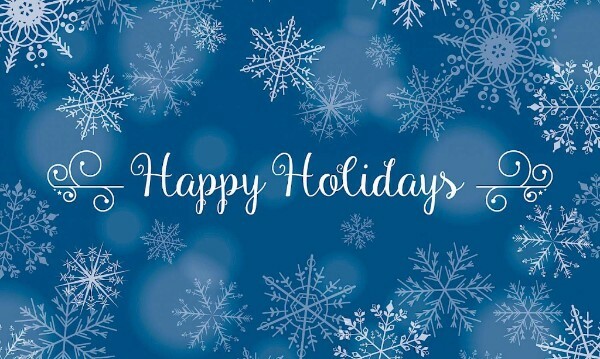 From everyone at Northern Expressions, have a very Happy Holidays!